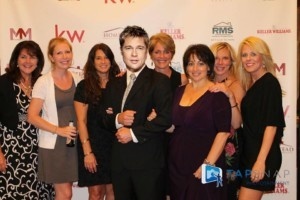 Guests had a chance to strut their stuff on the red carpet Oscar-style as they entered the Keller Williams Realty 10th Anniversary Celebration in Longmeadow, Mass. When they reached the end of the carpet, there was TapSnap ready and waiting to take their photos – just like at the Oscars. 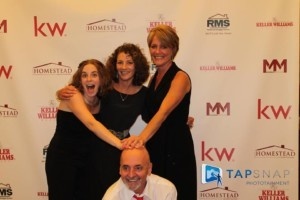 Cheney used TapSnap to take short videos as well as glamour shots of the guests at the event, which transformed the Keller Williams Realty-Pioneer Valley office into a giant party zone, with music, food and drinks. TapSnap turned out to be the entertainment that just keeps on giving, even when the event was over.